The modern revival of roller derby began in 2003, but it didn’t really start picking up steam until 2005 or so. CTRG formed in early 2006 to get in on the action. We’re the oldest league in Connecticut, and one of the oldest in the country. 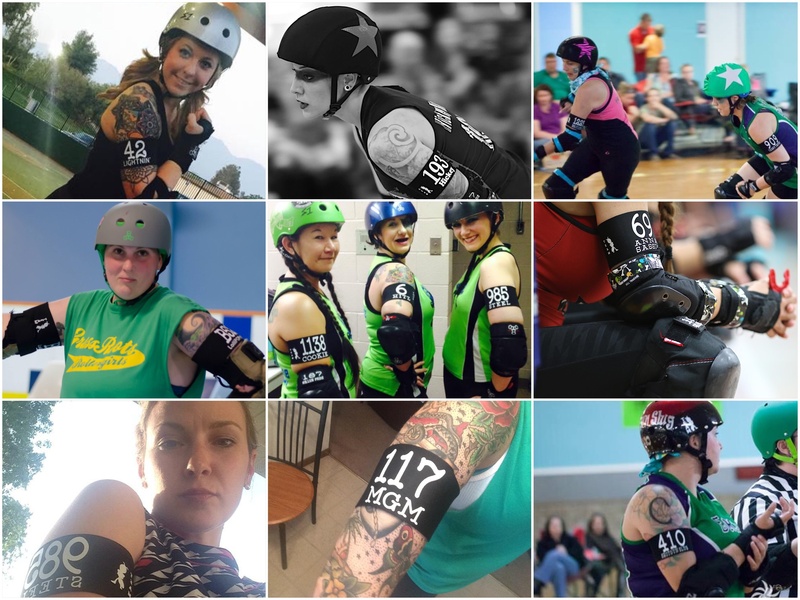 Black Cherry, Doomcake, Ether Bunny, and Revengela are the four currently active skaters that joined in 2006, and coach Pygmy was a referee back then. In those days, we had to skate 10 miles uphill in the snow to get to practice. Now get off my lawn! Wait, um, let’s try that again. In those days, leagues rarely played against each other. Most roller derby was played between teams in the same league. That’s why we called them leagues. The three CTRG teams that were originally formed in summer 2006 were geographically separated into “Southern”, “Central”, and “Northern”, based mostly on where the skaters lived. The teams picked their own names and colors. All three debuted at our public exposition bout “Seasons Beatings” on Sunday, December 10th, 2006. Teams were never separate organizations the way they are in some cities, and CTRG tried hard to maintain a “league first” attitude about things. We developed some intense rivalries, so it didn’t always happen that way in real life, but now we focus on maintaining the travel teams (Stepford Sabotage and Yankee Brutals) as a competitive place, and the home teams as a space to have fun with our leaguemates. The first season was 6 games (about 6 weeks apart from April to October) plus a league championship on November 4th, 2007. The Iron Angels took the win over the Widowmakers 110 – 46. The first trophy was a ridiculous metal cup-like thing painted blue and pink. Personally, I liked it, but I think I was in the minority. In the 2008 season, CTRG ran 3 games from January to April and had the championship in June. Yes, the league ran our first year and a half with no break at all. That’s when we decided taking time off every year was going to be important. The teams were all 1-1 going into the championship, but The Bone Crushers won both their games that day and got the leg lamp trophy we still use. For the third season (November 2008 to June 2009), we decided to go back to the 7 game season at our new venue in Woodbridge. And then we ran up against a couple injuries, a couple pregnancies, and a hefty dose of bad luck, so we decided to temporarily suspend the home teams and do a series of themed fun games instead. We spent most of 2010 and 2011 working on our travel teams, and reinstated the home teams for a 4-game season in 2012. Instead of dividing up by area, the coaches doing the draft tried to balance the skills between the team so they’d be fun, competitive games. When the dust settled, Parker Poison was the only skater still on her original team. WFTDA tournament seeding happens in July, so we focus on Stepford Sabotage through June, then shift to the home teams after our summer break. This year, the home teams are back at Roller Magic in Waterbury for the first time since 2008. It makes the games feel a little more personal, like a good cross-town rivalry.